This is Bumpis. He is just a year old. 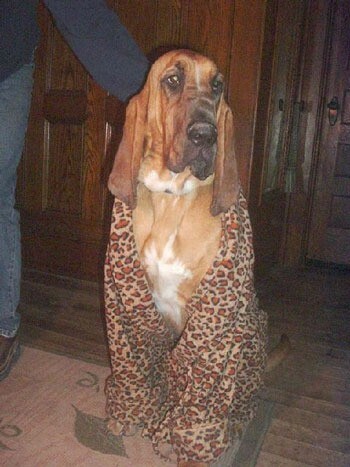 Bump is a Bloodhound that has the personality of a human. He hates being cold. We love him tons. Ohh, he's sooo cute!!! I can see how he would bring joy to your family. I love how pets are more than just pets - they're family too. Cute picture! He's adorable and I know how he feels - I'm from Michigan too!